The Cents + Vision Planner 2019 includes all the monthly worksheets, monthly calendar, ledgers and spreadsheets to accomplish the Money Bliss Steps to Financial Freedom. Over 160 pages to keep you on track. Anyone who wants to change their money situation! 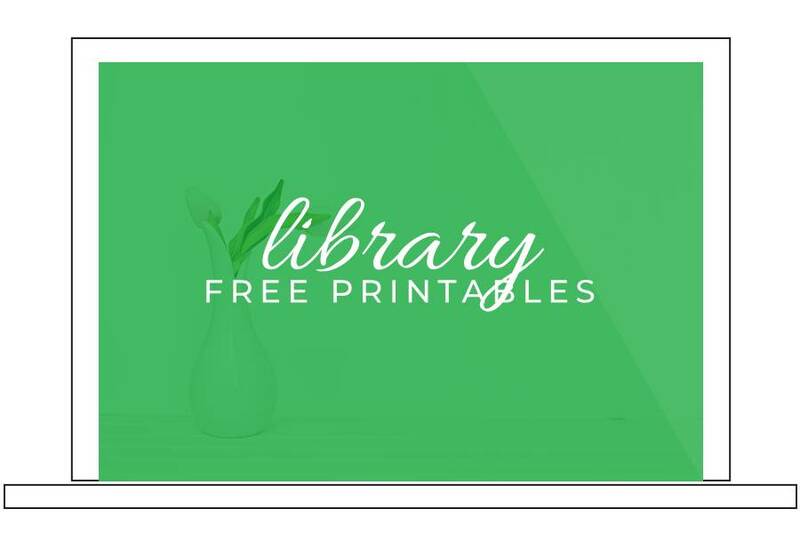 Save more money. Get out of debt. Become financially free. 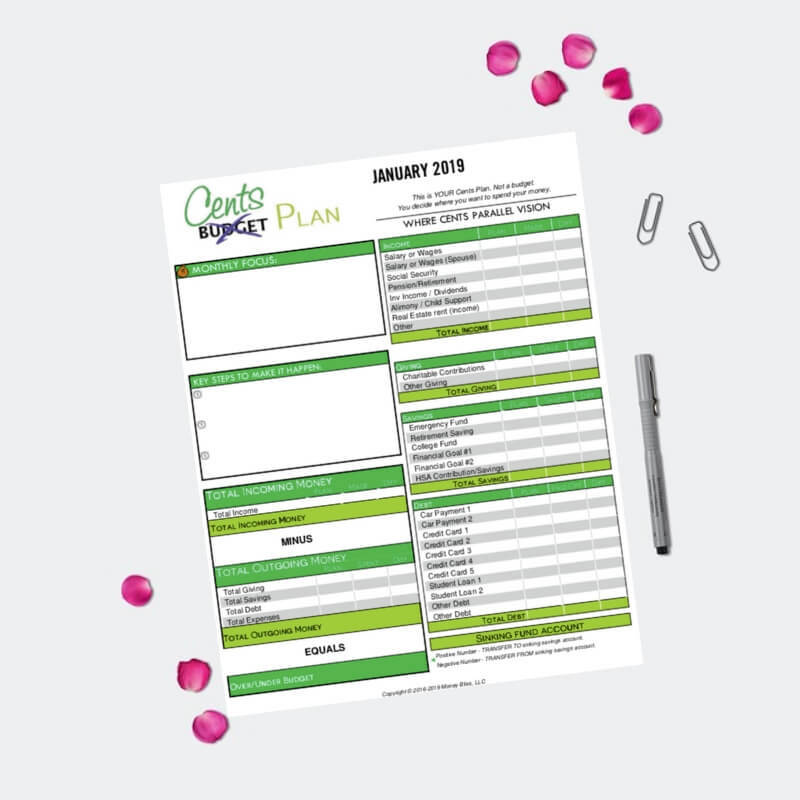 Also, the Cents + Vision Planner is perfect for those who have tried other systems and failed! 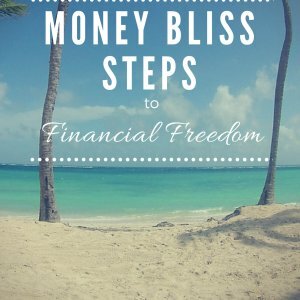 At Money Bliss, we are here to help you succeed financially – not just sell a product. 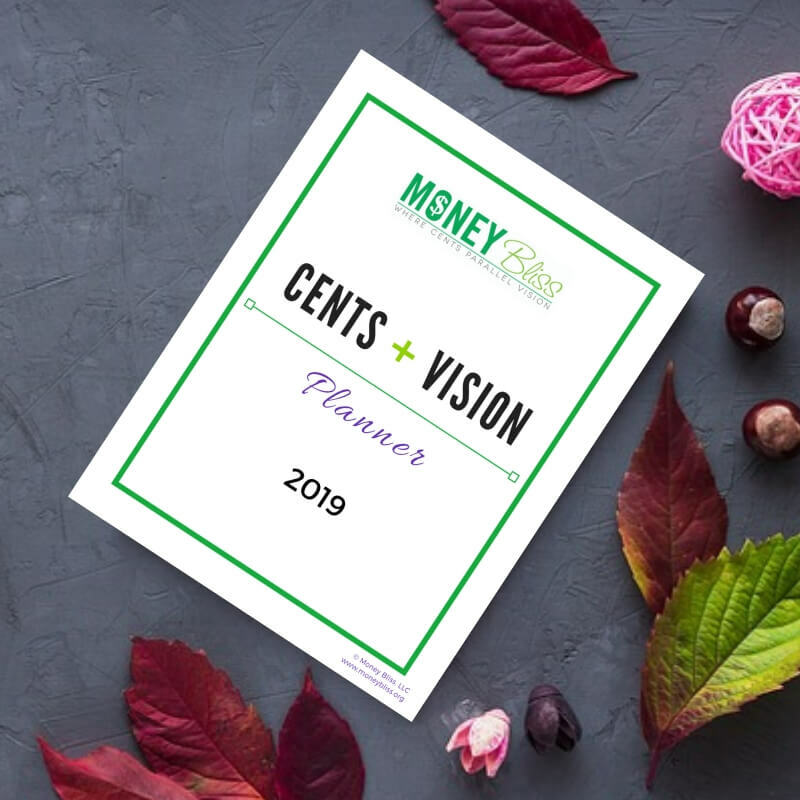 The Cents + Vision Planner will transform your life. Enjoy a paradigm shift with your money today. 1) Stop living paycheck to paycheck? 2) Get rid of debt? 3) Save for rainy day? Retirement? College? 5) Get rid of the budget? 6) Enjoy your life & money? Your individual experiences have shaped your view of money. We had enough with our student loan payments. We wanted that cash flow back into our lives. So, we sat down and created a plan. In one year, we paid off $53,000 in student loan debt. Fast forward, many friends asked us how we paid off our student loans. They wanted to change their view of money. That was the founding of Money Bliss, LLC. Now, I am excited to share how we did it! 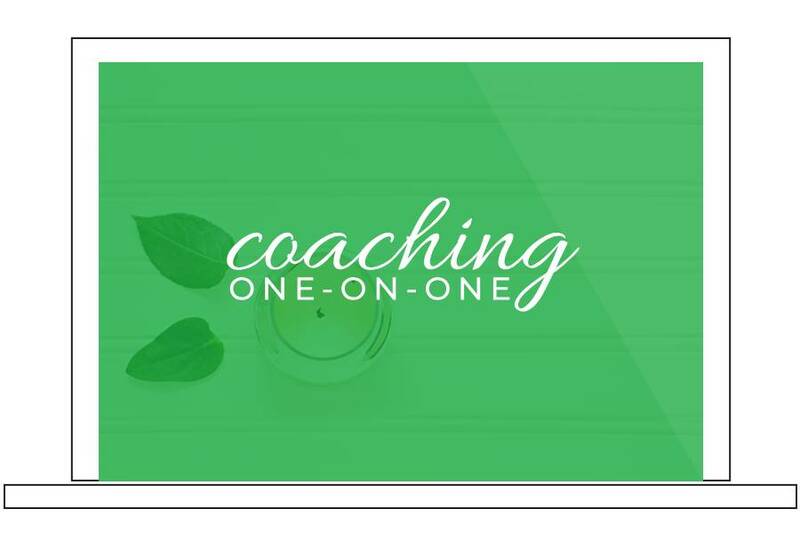 The exact steps we took on a monthly basis to take control of our money and begin a life towards financial freedom. Anyone who wants to change their money situation! Save more money. Get out of debt. Become financially free. Also, the Cents + Vision Planner is perfect for those who have tried other systems and failed! 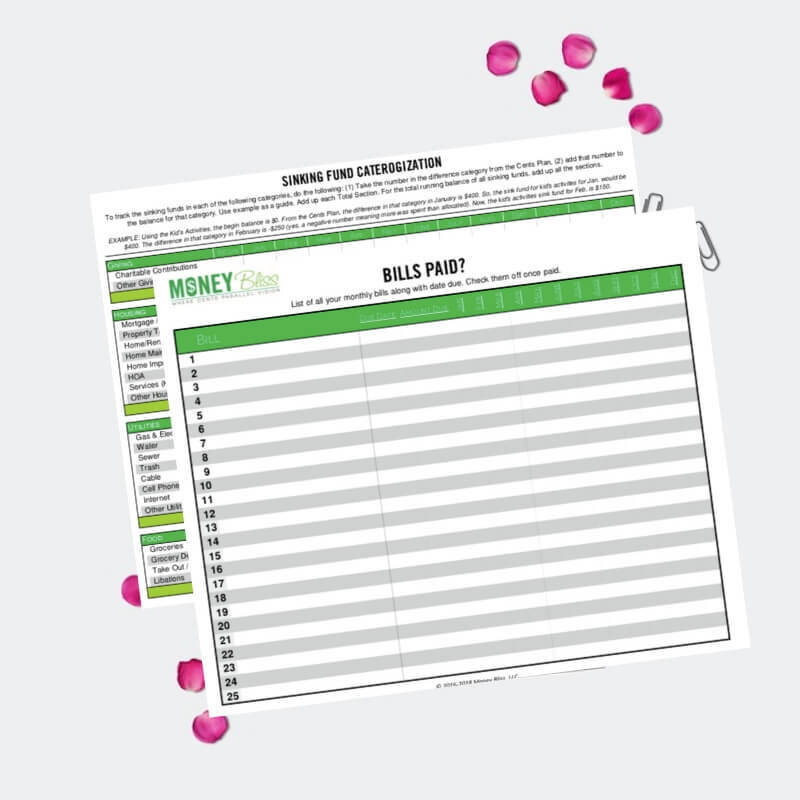 At Money Bliss, we are here to help you succeed financially – not just sell a product. 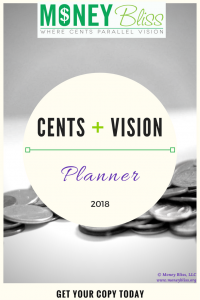 The Cents + Vision Planner will transform your life. Enjoy a paradigm shift with your money today. 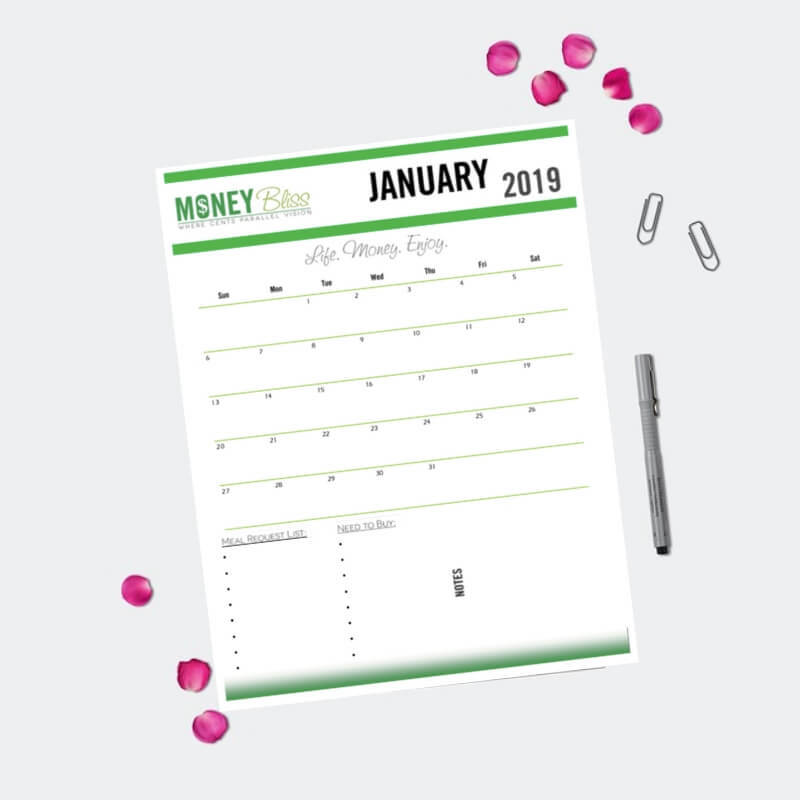 – Are my Bills Paid Checklist? 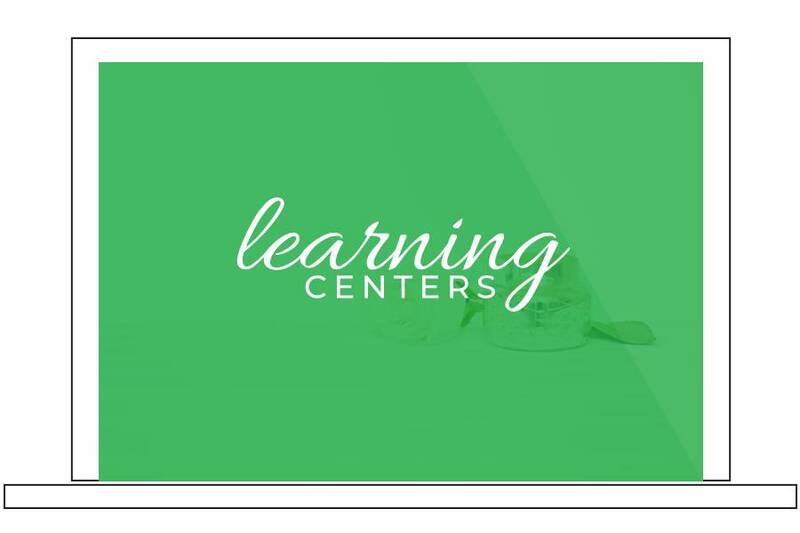 With the Cents + Vision Planner, you will learn how to manage your money. Not have your money manage you. “This is more than just a planner. This is a wealth of information that I have not been able to find anywhere else. 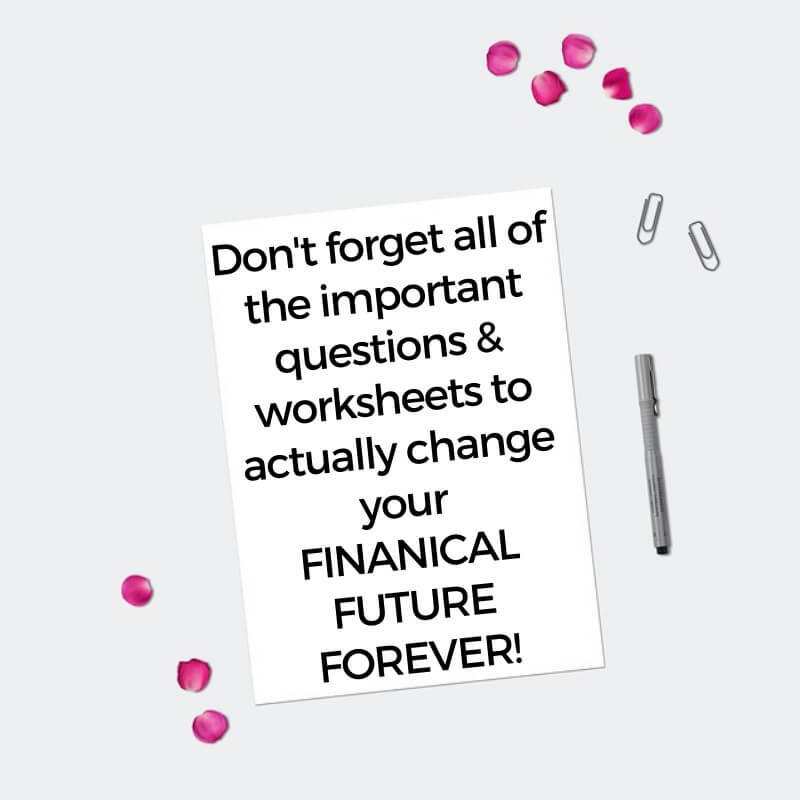 Kristy is not trying to set you up to just pay off debt or make a budget, she is setting you up for a lifestyle of worry free living when it comes to money. 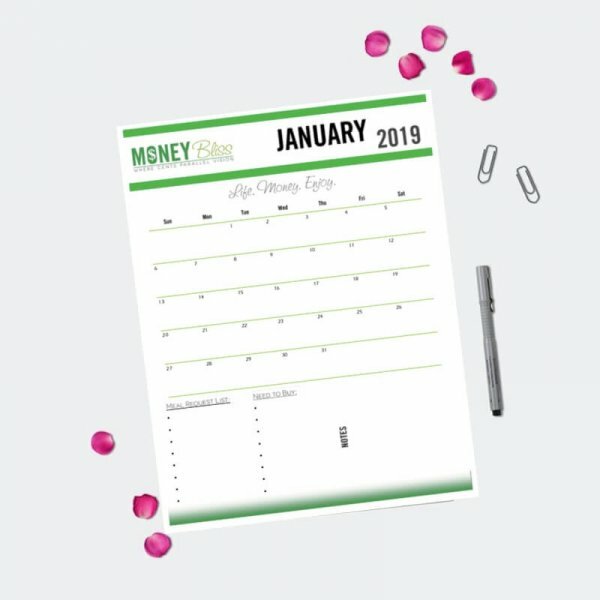 Before I started using this planner, I was very disorganized with my money. I was bringing it in, but then before I knew it, I had nothing. I hate living feeling like I had nothing to my name. 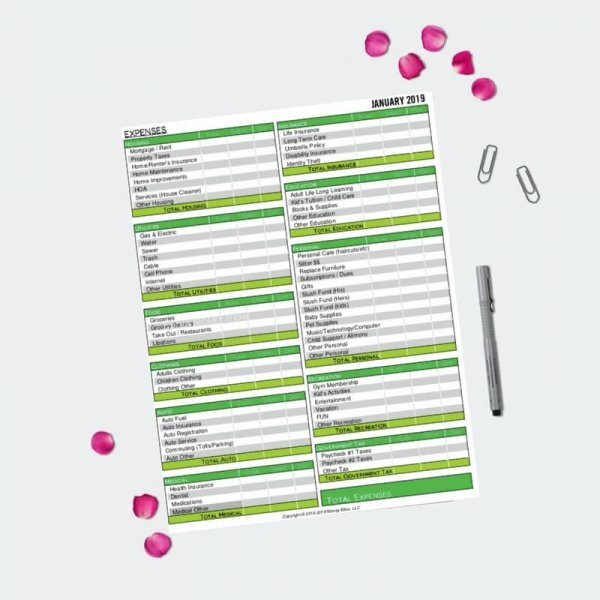 When I started using this planner, it changed everything for me. My viewpoint on money changed completely. I started to not feel overwhelmed or dread opening my bank account. Unexpected expenses were taken care of and stress was no longer apparent. 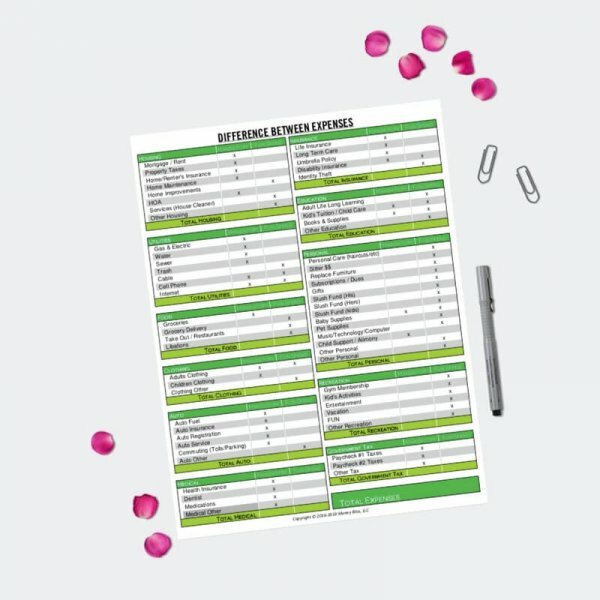 This planner will change your life in more ways than you know. Just put in the time and the effort and you will reap the rewards from it.” A.D.